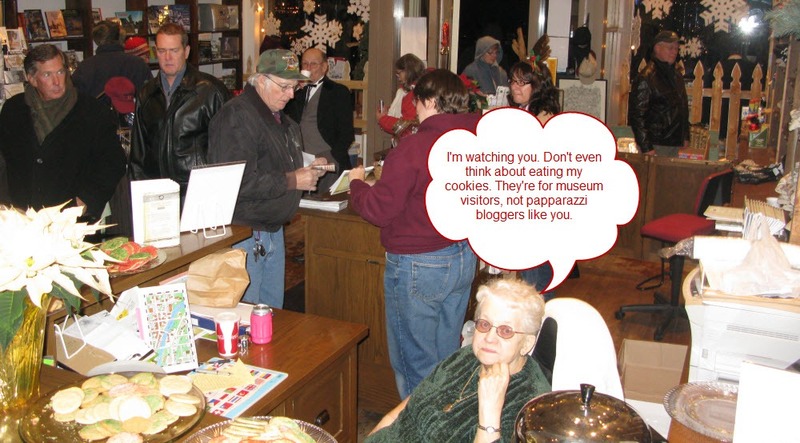 The issue of cookies seems to put a strain on my normally collaborative relationship with Gloria Powell, Museum Receptionist and Volunteer Coordinator at the Northfield Historical Society. I wonder if Gloria’s going to get her hair done by Mother Nature today like in Feb.
Gloria baked many of those cookies and has a personal interest in their being consumed by someone who would really appreciate them, not just some itinerant beggar. Hey, Jane, I resemble that remark! 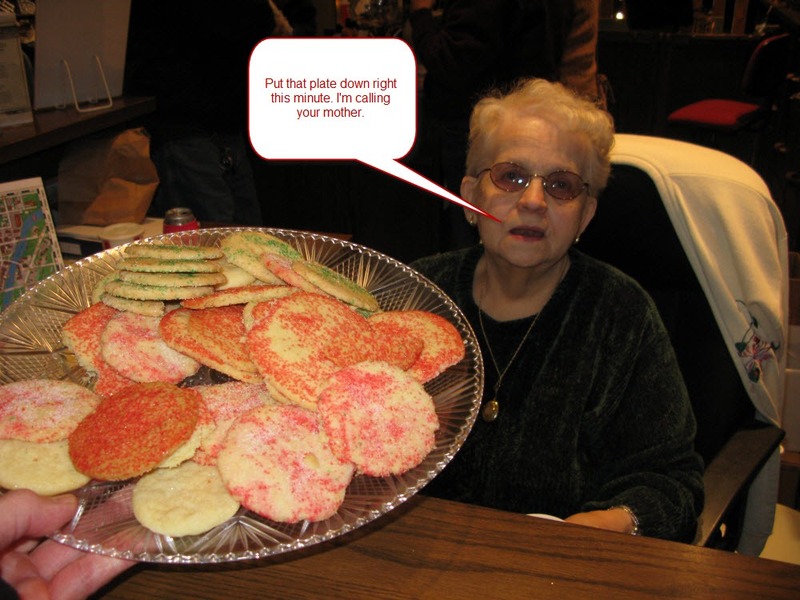 Well, Gloria told me she had retired from cookie-making for the masses, though in past years she did make them herself. Cheers to her.